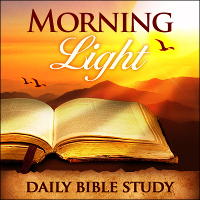 Morning Light – 1 Corinthians 11: Are Women Subservient to Men in Scripture? Today: [1 Corinthians 11:] Are Women Subservient to Men in Scripture? In chapter 11 of Corinthians, we find verses that have been misconstrued to the abuse of women for centuries. On the one hand, they are misapplied and on the other wholly rejected as irrelevant to our day. What is the answer? How do we render these matters in scripture in a wholesome and mature way to our benefit? [1Co 11:1-19 KJV] 1 Be ye followers of me, even as I also [am] of Christ. 2 Now I praise you, brethren, that ye remember me in all things, and keep the ordinances, as I delivered [them] to you. 3 But I would have you know, that the head of every man is Christ; and the head of the woman [is] the man; and the head of Christ [is] God. 4 Every man praying or prophesying, having [his] head covered, dishonoureth his head. 5 But every woman that prayeth or prophesieth with [her] head uncovered dishonoureth her head: for that is even all one as if she were shaven. 6 For if the woman be not covered, let her also be shorn: but if it be a shame for a woman to be shorn or shaven, let her be covered. 7 For a man indeed ought not to cover [his] head, forasmuch as he is the image and glory of God: but the woman is the glory of the man. 8 For the man is not of the woman; but the woman of the man. 9 Neither was the man created for the woman; but the woman for the man. 10 For this cause ought the woman to have power on [her] head because of the angels. 11 Nevertheless neither is the man without the woman, neither the woman without the man, in the Lord. 12 For as the woman [is] of the man, even so [is] the man also by the woman; but all things of God. 13 Judge in yourselves: is it comely that a woman pray unto God uncovered? 14 Doth not even nature itself teach you, that, if a man have long hair, it is a shame unto him? 15 But if a woman have long hair, it is a glory to her: for [her] hair is given her for a covering. 16 But if any man seem to be contentious, we have no such custom, neither the churches of God. 17 Now in this that I declare [unto you] I praise [you] not, that ye come together not for the better, but for the worse. 18 For first of all, when ye come together in the church, I hear that there be divisions among you; and I partly believe it. 19 For there must be also heresies among you, that they which are approved may be made manifest among you. In chapter 11 of 1 Corinthians, Paul begins by speaking on the subject of head covering. He makes the statement in v. three that the head of every man is Christ and the woman is the man (and the head of Christ is God…). This brings up two questions – one of accountability issues between men and women and whether or not women should wear head coverings. The general response of most theologians and pastors to these issues is to disregard them as only dealing with matters relevant to ancient Corinth. Is this true? Paul is opening up the scope of the question to such a degree it has some bearing on every believer. Unfortunately, however, these verses have been employed for centuries as a means to demean and abuse women therefore while we cannot dismiss them as irrelevant, we also must contemplate them. There is also the matter of “covering” in general as it is applied as a leadership concept throughout the body of Christ and in Pentecostal/Charismatic circles particularly. In v. four we see the statement that every man praying or prophesying with his head covered dishonors his head. If that is true then why do believers inquire of one another “who is your covering” if having a covering dishonors your ministry and your prayer life? The covering teaching as it is applied in this regard is the source of much abuse and suppression of ministry among full gospel and evangelical churches. Verse 5 goes on to speak of a woman having her head covered to avoid dishonor. If she has her head uncovered in public Paul says she may as well go further and shave her head. This remark brings up the actual issue at hand. In Corinth, prostitutes were known to shave their heads as a sign of their profession. Women in Corinth likewise used head coverings as an indication of sexual availability. For a woman to have her head uncovered was saying to prospective sexual partners “I am available” and to have her head covered meant “I am not available” for sexual intrigues. If this were the tradition in your city, then it would be perfectly understandable why as woman you should wear a head covering to maintain your testimony and your honor. If this is not the tradition in your culture then head covering is not necessary because having no covering or scarf on your head, either way, says nothing about your public morals. Before we retreat from this subject, however, let us ask the question, what statement does your wardrobe say about you to the men who encounter you in public life? It is a physiological fact that men in their make up are attracted (i.e., sexually aroused) by what they see. That is not to say a woman is expected to wear a sack head to toe so that men around her will not be affected, but it does say that every woman young or old should think about this in their public life. Is it fair for you to dress in such a way as to accentuate your cleavage, your thighs or your hips and then to object to the fact that men regard you in some way that isn’t entirely respectful? Does your dress make the statement at a physiological level to a man “I am available”? In all the discussion about head covering this is the one conversation that few leaders dare to have but that any thinking woman of faith must have the honesty and the maturity to consider. What about accountability issues? It is difficult to read the balance of this chapter and conclude that God created no basis for accountability between husbands and wives. At the same time, some take this to an extreme and say every woman must have a man in charge of her life, etc., which the text does not bear out. The hair issue falls under the same consideration as the covering and shaved head consideration regarding the signal by dress or hair style that one was sexually available. What about your relationship to your husband (if he is in the Lord)? Are you to obey your husband unconditionally as though you were nothing but chattel? Does this passage not indicate however there exists at some level an accountability between a husband and a wife that must be explored and acquiesced to – if we are honest with the text? Many woman and men for that matter completely ignore this. What you must do as a wife is to study these things thoughtfully and decide for yourself what they mean and how they apply. As a man, your response must be measured and from a posture of humility. There is no basis in scripture for a man to take these verses and use them as a club to dominate or suppress a woman in his life. To do so is to place yourself in opposition to the clear testimony of God’s word. 20 When ye come together therefore into one place, [this] is not to eat the Lord’s supper. 21 For in eating every one taketh before [other] his own supper: and one is hungry, and another is drunken. 22 What? have ye not houses to eat and to drink in? or despise ye the church of God, and shame them that have not? What shall I say to you? shall I praise you in this? I praise [you] not. 23 For I have received of the Lord that which also I delivered unto you, That the Lord Jesus the [same] night in which he was betrayed took bread: 24 And when he had given thanks, he brake [it], and said, Take, eat: this is my body, which is broken for you: this do in remembrance of me. 25 After the same manner also [he took] the cup, when he had supped, saying, This cup is the new testament in my blood: this do ye, as oft as ye drink [it], in remembrance of me. 26 For as often as ye eat this bread, and drink this cup, ye do shew the Lord’s death till he come. 27 Wherefore whosoever shall eat this bread, and drink [this] cup of the Lord, unworthily, shall be guilty of the body and blood of the Lord. 28 But let a man examine himself, and so let him eat of [that] bread, and drink of [that] cup. 29 For he that eateth and drinketh unworthily, eateth and drinketh damnation to himself, not discerning the Lord’s body. 30 For this cause many [are] weak and sickly among you, and many sleep. 31 For if we would judge ourselves, we should not be judged. 32 But when we are judged, we are chastened of the Lord, that we should not be condemned with the world. 33 Wherefore, my brethren, when ye come together to eat, tarry one for another. 34 And if any man hunger, let him eat at home; that ye come not together unto condemnation. And the rest will I set in order when I come. In verse 20 Paul comes back to the subject from the previous chapter regarding observing the Lord’s supper. In the Corinthian church, the communion meal had denigrated into a free-for-all celebration or party which left many at a disadvantage in their midst. Paul corrects this and in so doing gives us the classic phraseology used in communion rites around the world. Is it important to take communion? Verse 30 tells us that to partake foolishly or unadvisedly causes many to suffer in their health and to die before their time. Communion is essential, and our attitude toward communion is likewise important. To allow this tradition established by the Lord himself to be marginalized or improperly understood puts us in jeopardy in our spiritual life. For this reason yes we should take communion often and should do so thoughtfully, with sobriety and a penitent heart realizing that it is a solemn reminder of the price paid for our redemption.